The IET Wiring Regulations are of interest to all those concerned with the design, installation and maintenance of electric wiring in buildings. The market includes electricians, electrical contractors, consultants, local authorities, surveyors and architects. This book will also be of interest to professional engineers, as well as students at university and further education colleges. All users of the IET Wiring Regulations need to be aware of the coming changes in the 18th Edition (BS 7671:2018). This is intended to come into effect on 1st January 2019, although industry needs to start preparing for this from its point of publication (2nd July 2018). The On-Site Guide is an essential guide to BS 7671. It incorporates the extensive changes in BS 7671:2018, making this a vital guide for keeping up to date. It enables the competent electrician to deal with installations (up to 100 A, 3-phase) providing essential information in a convenient, easy-to-use format. 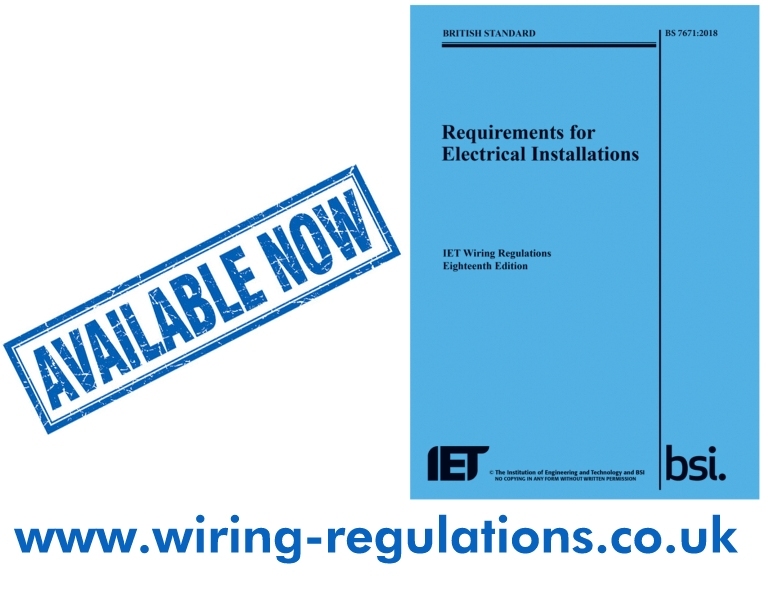 The 18th Edition IET Wiring Regulations publishes in July 2018 and comes into effect on 1st January 2019. All new installations from this point must comply with BS 7671:2018. All above links on this page offer you the ability to order the above publications via Amazon directly. This entry was posted in 18th Edition Regulations, BS7671, Information and tagged 18th Edition Wiring Regulations, BS 7671:2018, IET on 6th July 2018 by admin. Click links to look and pre-order your copy now ! Release date 1st July 2018. Links via Amazon – Your order is safe and secure via Amazon. This entry was posted in 18th Edition Regulations, BS7671, Information and tagged BS 7671:2018 on 18th March 2018 by admin. The IET is preparing to publish the Draft for Public Comment (DPC) of the 18th Edition of BS 7671. This is your chance to have your say about the development of the new edition of the Wiring Regulations. Please note, the below dates are expected dates only and are subject to change. • DPC availability and commenting period: June 2017 – August 2017. • IET and committees review DPC comments: August 2017 – November 2017. • Changes approved; final draft produced; reviewed and proofread: November 2017 – April 2018. • Official JPEL/64 committee sign off: 4th April 2018. • BS 7671 new edition available for purchase: 1st July 2018. BS 7671 is a British Standard. It is published jointly by the British Standards Institution (BSI) and the IET. BSI is the UK’s National Standards Body (NSB). • JPEL/64/A – covers verification and inspection and testing (Part 6 and Appendix 6 of BS 7671) plus any work relating to Parts 1, 2 and 3 of BS 7671. • JPEL/64/B – covers cable sizing and installation and related matters (some of Parts 4 and 5, Appendices 3 and 4 and some Part 7 items of BS 7671). • JPEL/64/C – covers earthing installations and related matters (some of Parts 4 and 5 and some Part 7 items of BS 7671). • JPEL/64/D – covers the remainder of Parts 4 and 5, some Part 7 items and some Appendices of BS 7671). Together, these groups are responsible for UK input into international and European technical committees IEC/TC 64 and CENELEC/TC 64, which produce the IEC 60364 standards series and the European implementations HS 60364 series. These standards are then implemented here in the UK as BS 7671. Amendment – alteration and/or addition to previously agreed technical or editorial content of an existing standard. 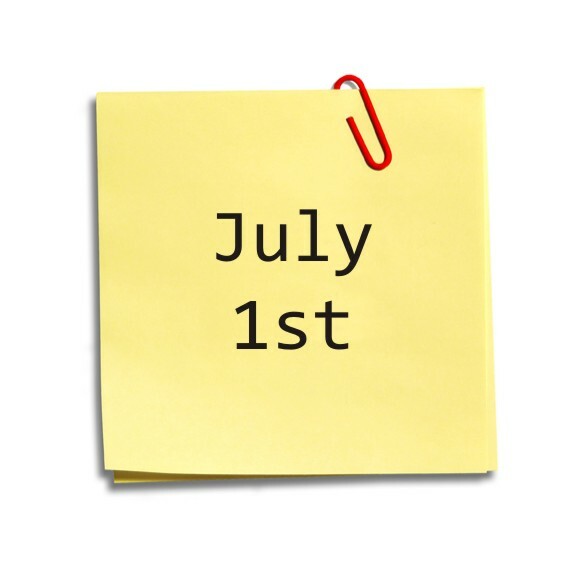 Edition – a new edition of an existing standard will either be published after several amendments (usually, a maximum of three) have been published or a major revision of the technical content has taken place. The committees will discuss how sections of BS 7671 may need to be changed to either remain aligned to the international and/or European Standards or take into account national issues Any changes proposed are debated, refined and finalised at JPEL/64. The updated BS 7671 will then be released in the form of a Draft for Public Consultation (DPC). This is when you will have the opportunity to read the expected changes in BS 7671 and to have your say. Comments on the standard can be submitted to the Secretariat at any time but will usually be held for consideration at the next Amendment/Edition cycle. The DPC of the draft 18th edition of BS 7671 will be published on the BSI Standards development portal: https://standardsdevelopment.bsigroup.com/. First, register following the on-screen instructions. Once you have successfully registered, you can log in to read and comment on proposed and draft standards, including BS 7671. You can also go into your Account to update information about yourself, change your password and personalize your preferences. When commenting on draft standards, use the ‘Comment on this section’ field to make your comments and the ‘Proposed changes’ field for any clarification and to make a suggestion for improvement. This entry was posted in BS7671 and tagged BS7671, IET on 10th March 2017 by admin. BS7671 – The Third amendment to BS 7671:2008, The IET Wiring Regulations, became effective on this date. Following this, contractors have a six month transition period to get up to speed with the changes and can design, install and certify to either the new or previous standard. This entry was posted in BS7671, Information, Uncategorized and tagged BS7671 on 29th July 2015 by admin.